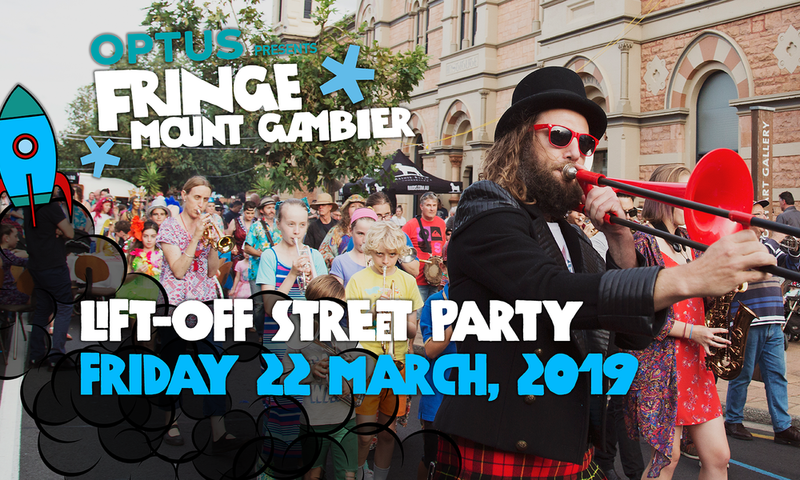 Lift Off with the Fringe Mount Gambier Street Party, starting at 4:00pm Friday 22 March. Join us in 2019 for Fringe Mount Gambier. We're seeking Artists who are BOLD, Venues that are DARING and Audiences who are BRAVE! Lifting off with a Street Party on Friday 22nd March, and a Showcase 11 hour event in the Cave Garden on Saturday 23rd March, followed by a week-long festival of ticketed events at various venues around Mount Gambier.